Real Shad Series offers a big, water-moving profile with flared gill plates and a molded mouth outline for a lifelike appearance. SS, 5inch, 6inch Series is slow rolling. 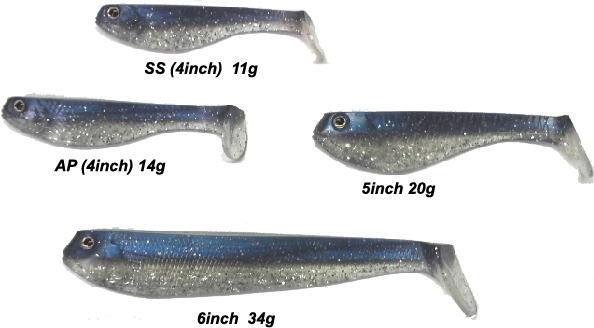 AP is wide body profile and kicking power tail combine to produce an outstanding wobbling action that makes fish crazy.